Following our exposē of would-be Plaid Cymru councillor, Mark Roberts a.k.a. lord Marcher of Trellech, dubbed the ‘lord of extortion’ by the press, Plaid are taking active measures to expel Roberts. We wonder, however, whether the good lord will go quietly, given his continuing litigious adventures – Roberts is taking legal action against the Vale of Glamorgan council to get his hands on the Old Harbour in Barry – or whether he’ll call on Darwin Gray, the Cardiff-based solicitors, to defend his honour. Established in 2002 by Bethan Darwin and Donald Gray, the legal firm has carried out much of Roberts’ dirty work, including the scam against the residents of Peterstone Wentlooge, Newport in 2004. Paul Flynn MP was so outraged by the ‘atrocious’ letter sent by Darwin Gray to residents that he named and shamed their four senior solicitors (Darwin and Gray plus colleagues Jason Smith and Rhodri Lewis) in his campaign newsletter, describing them as ‘parasites‘. Flynn couldn’t possibly be referring to the Donald Gray who provides commercial property advice for South Wales charity, Valleys Kids, could he? Or media-friendly Bethan Darwin who does voluntary work for Cardiff Law Centre and who set up the Superwoman charity which boasts of helping Barnardo’s Cymru, Trust for Sick Kids, Bobath Cymru, Smile Train and Noah’s Ark? At Superwoman 4, a charity piss-up for the great and the good, held in October 2008, guests were treated to talks by Menna Richards, head of BBC Wales, and Betsan Powys, Wales’ leading political pundit. Ms Darwin clearly knows people in high places. One thing’s for sure: Valleys Kids and all the other charities supported by Darwin Gray solicitors must sever their links with these ‘parasites’ before they, too, become discredited. 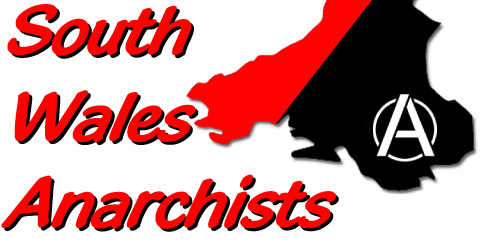 And when Roberts does get his marching orders from Plaid, remember, it was South Wales Anarchists wot done it! !